Wolf MHS custom designs and manufactures each belt conveyor for the required application as part of their “complete system” approach. The design will take into consideration material bulk density, topography, feed rate, accessibility, as well as many other factors. The design will minimize loading angles, maximize spans, and utilize truss, gallery, or overland frames to accomplish the most cost efficient project. 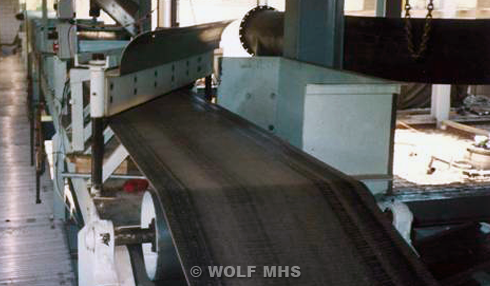 Wolf also utilizes proprietary software to optimize the horsepower requirements for each belt conveyor.